Home » Elf Info » Why Invite one of Santa’s Elves to Stay? 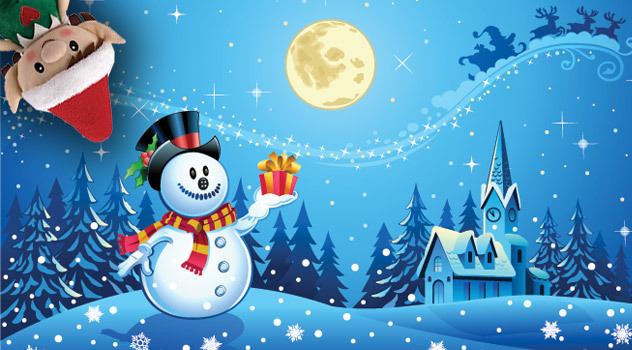 Christmas is a chance to have fun and spend time with your family. But with the pressures of the festive season, it’s easy to forget the little things that can really make Christmas special. 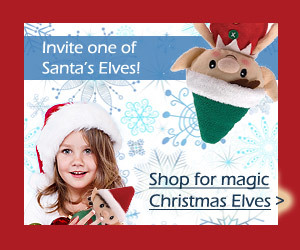 Buying a Chrismas Elf is one way to bring the magic of Christmas back into your home this year. 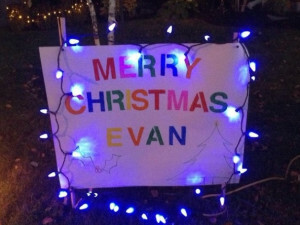 And, if you haven’t heard about the timeless Christmas Elf Tradition, then you’re in for a treat. In December each year, Santa sends his Elves out to visit the homes of boys and girls around the world. The Elf is to report back to Santa on Christmas Eve, telling the man in charge whether or not their hosts have been good this year. Yet Santa’s Elves are mischievous little characters and often get up to all sorts of pranks and tricks while the children are asleep. With a little bit of time and imagination, the Christmas Elf Tradition encourages playtime and creativity, while reinforcing the importance of family values. 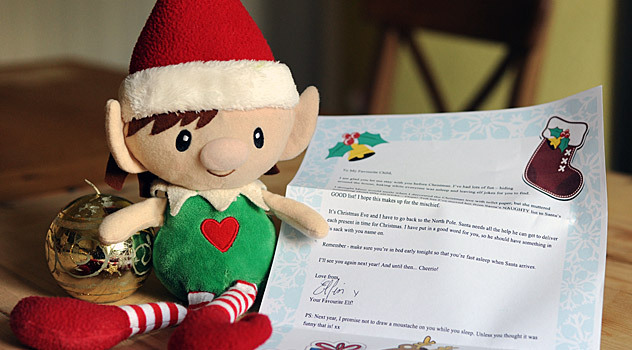 Inviting one of Santa’s Elves to stay is a wonderfully fun way to bond and create your family’s own Christmas tradition. In fact, one of the best things is that the family can have fun together. And it starts from the moment you wake up and hunt for your Santa’s Elf. 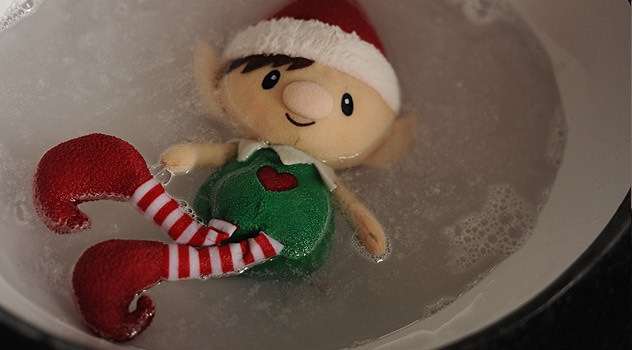 Children adore finding out what mischief and mayhem their Elf has been up to during the night. 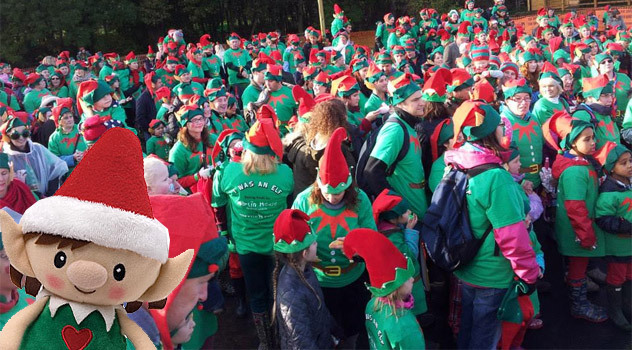 Take a look at our Christmas Elves ideas to see the kind of trouble Santa’s Elf can get themselves into while the children are asleep. Unlike most things at Christmas, it’s relatively inexpensive to buy an Elf doll. And yet the fun, entertainment and memories they give you and your children in return are priceless. It can help you spend more time together as a family, without spending any more money. It lets you turn your attention back to the wonder, magic and “true meaning of Christmas” – family, fun and sharing. 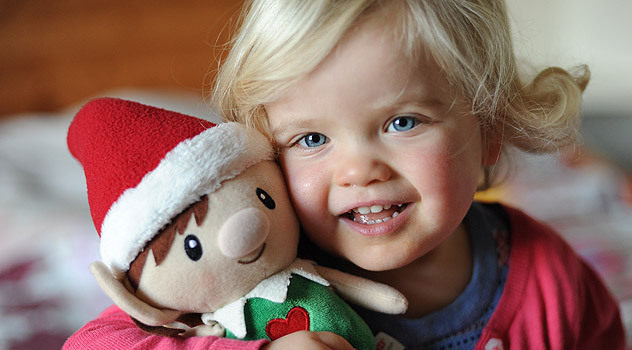 What’s more, once you buy a Christmas Elf doll, he or she can return to visit your home year after year. 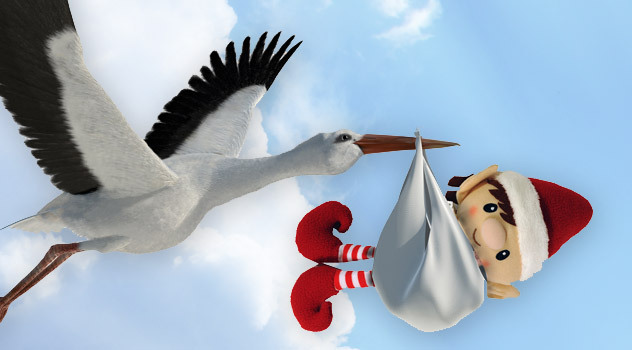 All you really need is a bit of creative imagination, mixed with a sense of fun! It’s a cliché but it’s true – children really do grow up fast. One morning you wake up and discover your toddler has changed into a teenager, seemingly in the blink of an eye. 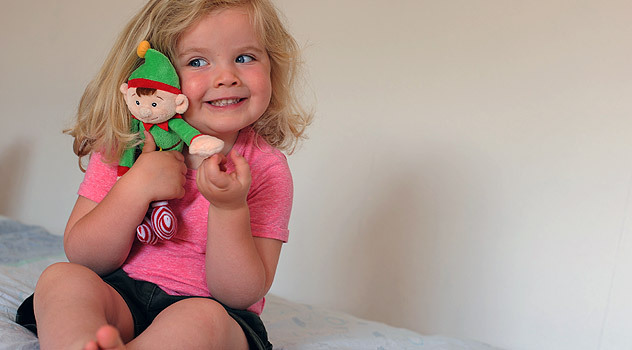 A magic Santa’s Elf toy is a simple way to make the most of Christmas magic while your children are still young. It’s also a wonderful way to build treasured memories that last a lifetime – for you and your children. And if your children have grown and have families of their own, why not start this timeless tradition with your grandchildren? After all, Christmas is all about family. Christmas Elf dolls report back to Santa! Christmas can be a busy, exciting and exhausting time of year for everyone. There’s the thought of Santa coming soon, plus all the Christmas fairs, pantomimes, school concerts and nativities, so it’s not surprising that nerves fray and tempers shorten (in adults as well as kids!). As the elf comes to stay to check everyone is on their best behaviour, it can help to encourage good behaviour in the run up to Christmas. You never know, it might just help. And sometimes anything is worth a try. 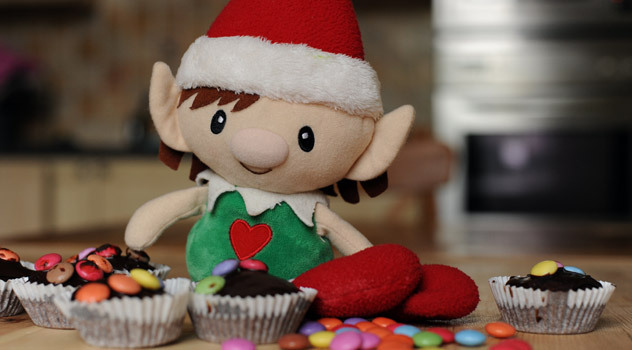 The Christmas Elf Tradition is a great way to encourage creativity in children. They can have fun writing a diary about all the things their Santa’s Elf gets up to. 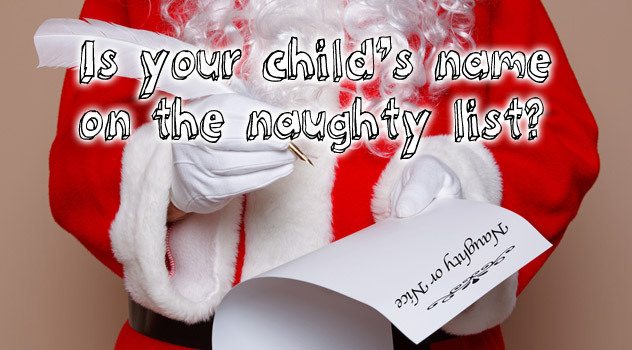 They can take their Santa’s Elf on trips or draw pictures of the Christmas Elf to send to Santa with their list. The ideas are only limited by your own imagination. If your children are a little bit older, they might enjoy writing a story about what their Elf does during the rest of the year. Santa’s Elf even visit classrooms! 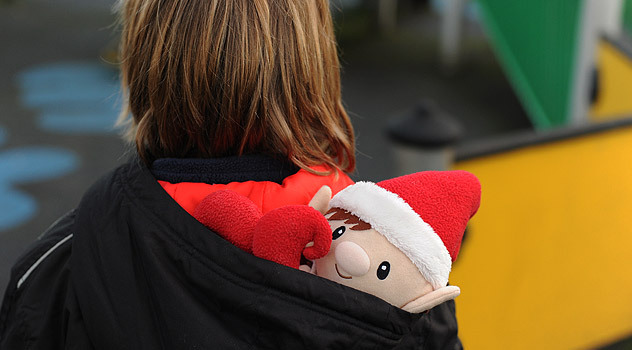 Many of Santa’s Elves are friends of teachers, and often visit schools and nurseries during December. 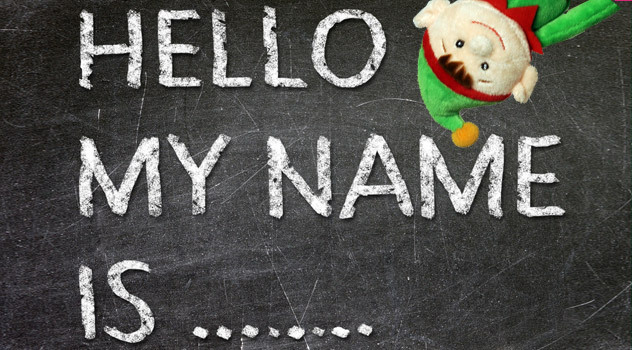 Young children love sharing their classroom with a mischievous Elf, while teachers find they can be useful assistants. Elves can help with numeracy. After all they’ve got to be pretty good at counting all those presents that Santa sends out each year. They have also been known to set children lots of interesting numeracy problems, such as how many presents will they need to load onto the sleigh to give a family of four, seven gifts each? It is rumoured that this is a cheeky way for Santa’s Elf to get children to do their work for them, but it’s never been proven. It’s also well known that Santa’s Elves are notoriously bad at school work and children are often asked to correct a Christmas Elf’s homework in class. Literacy however, is often an elf’s favourite subject. 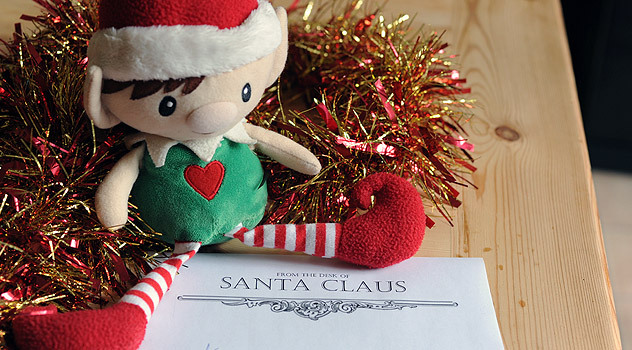 They love seeing children write letters or reports to Santa, or a diary of the Christmas Elf visit. Santa’s Elves are also known for bringing their favourite books to school for children to read. 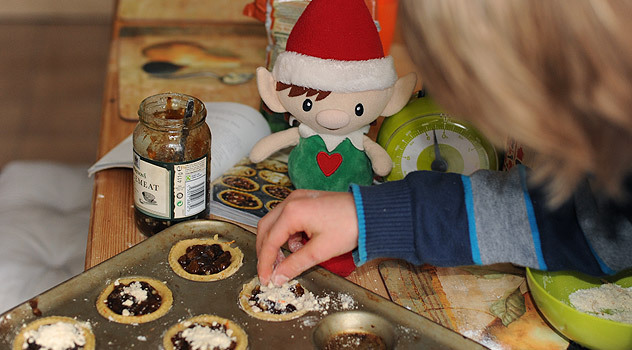 Elves also love baking with children and will often write recipes on the board overnight and leave all the ingredients out for children to bake – reindeer cookies and ginger Santas are favourites. The best thing about buying a Christmas Elf doll is that it allows you to create a family tradition that your children will adore. 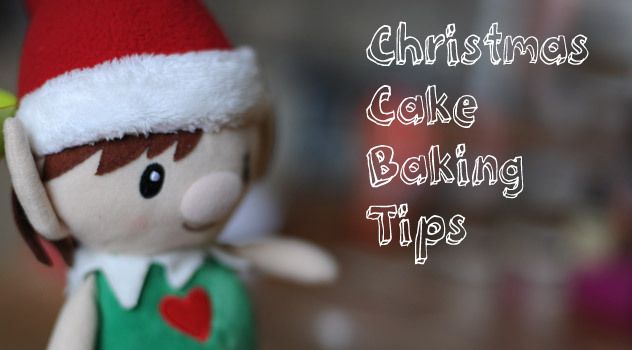 It is a simple and relatively cheap way to get more out of Christmas this year and every year. 11 Comments on Why Invite one of Santa’s Elves to Stay? 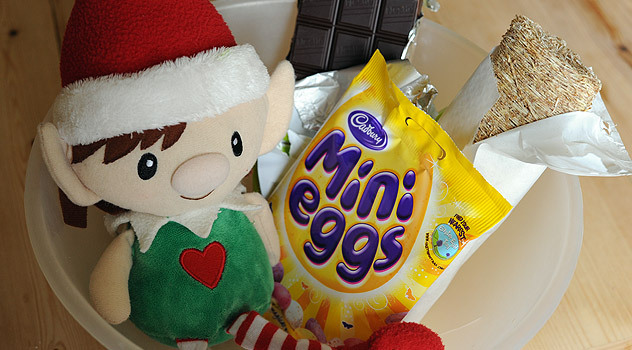 You can buy the elves here http://www.bigfatballoons.co.uk/cat.php?cPath=184. Hope this helps. Hello Ali, some stores do sell elves of course. This is my favourite – http://www.bigfatballoons.co.uk/cat.php?cPath=184. Of course you can touch me. Rest assured though, no elf will die if a child touches them. If you elf looses it’s magic, just try sprinkling a bit of glitter to help the magic come back. 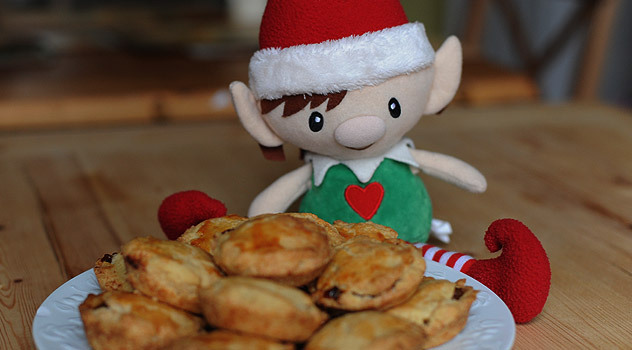 Hi, I like the elf in the pictures on the website (with the heart on this top), the one in the link looks different – please can you advise?? 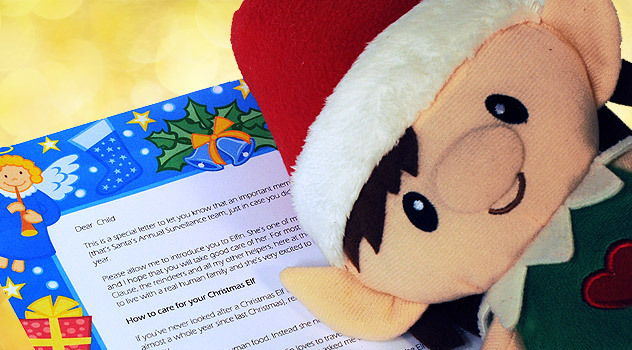 Hello Sara, Thanks for leaving a comment – the elves available this year are a little different. I am sorry the the other models are not available at the moment! 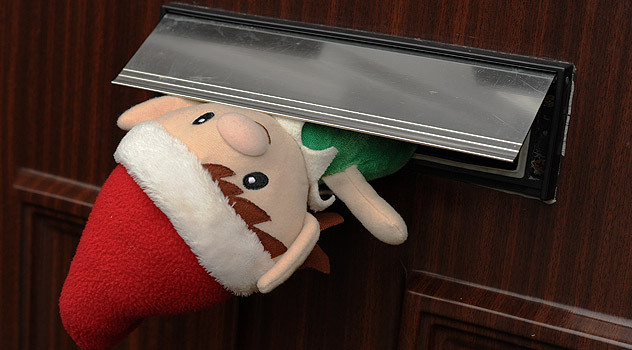 They sometimes do – Elves tend to be very active at night!